The National Museum of African Art (Smithsonian museum) has explained why it cannot return the original works of art from African countries back to their places of origin, amidst calls for their repatriation. The Director Emerita of the museum, Dr. Johnnetta Cole, stated that the documentation of original artifacts from such countries, including Nigeria, at the museum was important to enable the institution to expose the rich African culture and history to the rest of the world. Cole spoke during a press briefing to mark the grand opening of the national museum exhibition gallery of a former photographer for the Royal Court of Benin, the late Chief Solomon Alonge, in Benin, Edo State. She explained, “It is incredibly important in our museum to honor prominence, to honor where each and every object has come from. If we are ever aware that an object has come into our museum because it was stolen, we go through an enormous effort. “If every work of African art is returned to Africa, how will the rest of the world know of your art, know of your culture and know of your history? I cannot speak for the British museum. I cannot speak for the museum in Belgium or the museum in Amsterdam. Cole further stated that the exhibition, which was the first of its kind in Africa, would help to lift up the power of creativity, as the works contained elements that bound the human race together. In his remark, the US Consul-General to Nigeria, Mr. John Bray, stated that the exhibition at the Benin National Museum would go a long way in preserving the social history of the Benin people and its traditional leaders for future research and educational programmes. According to him, arts, including photographs, represented one of the most important principles of democracy in the United States of America, as avenues for freedom of expression. “The US government seeks to show its respect for other cultures by assisting efforts to preserve cultural heritage. The US has a long history of supporting the preservation of cultural heritage in countries around the world, including Nigeria,” he said. The Director-General of the National Commission for Museums and Monuments, Mr. Yusuf Usman, noted that the project would assist the Federal Government to plan, train manpower and provide an opportunity for Nigerians to understand the past, present and future. We all heard that Nollywood actress, Regina Daniels is customarily married to businessman/politician, Ned Nwoko who happens to be 59 years old (Not like it matters). They had a customary marriage ceremony at Asaba which was the hometown of the Daniel’s. Also, he cited his royal background as another factor for his harem of women. Recall that Ned Nwoko married one Miss Nwakaego Ukachukwu, his Special Adviser on Legal Matters and also gifted her a N20 million BMW car as well as a posh mansion in a high-brow area in Abuja. Married to five wives, Nwoko has been the one splashing cash and spoiling Regina Daniels silly with expensive gifts. 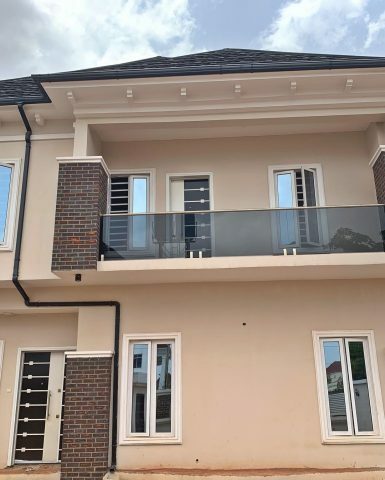 He bought her the expensive cars including a house in GRA Asaba which the actress brandished on social media some weeks ago as a gift to her mother, Rita Daniels. Don’t forget little Regina flaunted a N3.3m Rolex wristwatch, some days after her gift to her mum. Obviously, Regina has been dating the billionaire for at least over a year or close to two. When asked if Ned Nwoko could be accused of cradle-snatching, sources close to him hinted that Nwoko didn’t touch her until she was of age. It was also gathered that Mr. Nwoko sometimes flies the actress to Abuja on his private jet to one of his cozy homes where he also enjoys quiet times with her. The wedding ceremony, which held last weekend was a private affair as the few family members invited were instructed not to take photographs. There wasn’t much glitz as many would have wanted and everybody complied with the wish of the couple to have a discreet ceremony. Her mother, Rita Daniels, is also an actress. Currently, a Mass Communication student of the Igbinedion University, Benin, she became a social media sensation recently when she started flaunting luxury on her Instagram page. From flying private jets to different parts of the world to flaunting luxury cars, she became the kind of newsmaker acting never afforded her. Karl Lagerfeld, a genius born on 10 September 1933, was a German creative director, artist, photographer and caricaturist also known as the creative director of the French luxury fashion house Chanel as well as creative director of the Italian fur and leather goods fashion house has died on Tuesday in Paris. He was 85. A source says, the famous designer death was announced on Tuesday. His sudden dismissal on earth has attracted alot of tweet from his fans describing him as the greatest orchestrator of his own myth.